Discuss Japan, its people, and its culture. Post a question for some of our board members who have had the wonderful opportunity to visit/live in Japan! Arigato! If they can have an Apple Store, a Microsoft Store and a Samsung Store...why not a Godzilla Store? My wife and I go to Japan every year or so, next time we go the Godzilla Store will definitely be one of our destinations! I'm surprised this hasn't happened before. Gentleman wrote: I'm surprised this hasn't happened before. 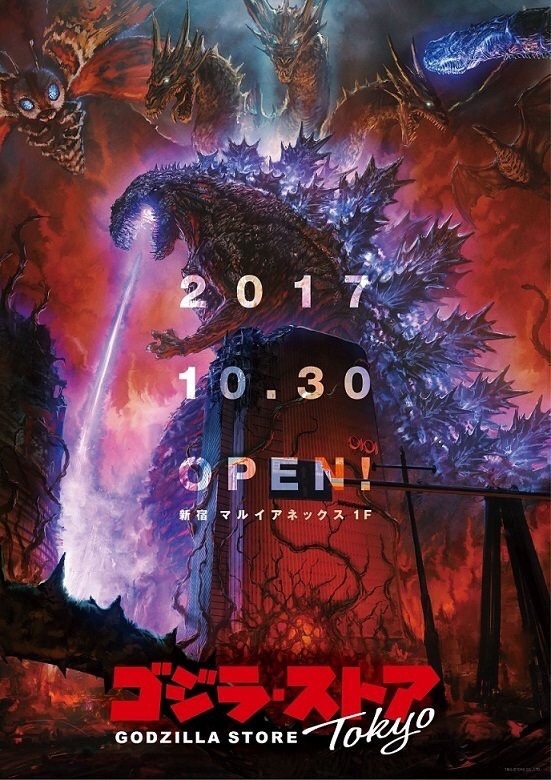 Following the release of Shin Godzilla, a few smaller Godzilla stores popped up, but this sounds significantly larger and more permanent. So, there IS a Heaven . "What Orwell feared were those who would ban books. What Huxley feared was that there would be no reason to ban a book, for there would be no one who wanted to read one." Man, I hope I can visit that store one of these days!